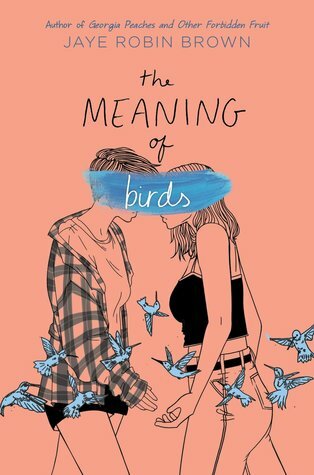 First up is The Meaning of Birds by Jaye Robin Brown, which is set to be released in North America on April 16, 2019. Told in alternating timelines, this story is a poignant portrait of love in the past, grief in the now, and the healing power of art. A beautiful exploration of first love and first loss, this novel effortlessly weaves together past and present to tell a profound story about how you can become whole again when it seems like you’ve lost the most important part of yourself. P.S. A big thank-you goes out to HCC Frenzy for providing me with an Advance Reader’s Edition of The Meaning of Birds in exchange for an honest review. Before: Jess has always struggled with the fire inside her. But when she meets Vivi, everything changes. As they fall for each other, Vivi helps Jess deal with her anger and pain and encourages her to embrace her artistic talent. And suddenly Jess’s future is a blank canvas, filled with possibilities. After: When Vivi unexpectedly dies, Jess’s perfect world is erased. As she spirals out of control, Jess pushes away everyone around her and throws out her plans for art school. Because art is Vivi and Vivi is gone forever. Right when Jess feels at her lowest, she makes a surprising friend who just might be able to show her a new way to channel her rage, passion, and creativity. But will Jess ever be able to forge a new path for herself without Vivi?